I’ve been super into cream and liquid face products lately when it comes to contour, blush and highlight. They look a lot better than powders on my dull skin in this dry weather, bringing it back to life. I’ve also been wearing lighter makeup for casual days, and liquid products tend to look a little more natural on the skin when blended out. 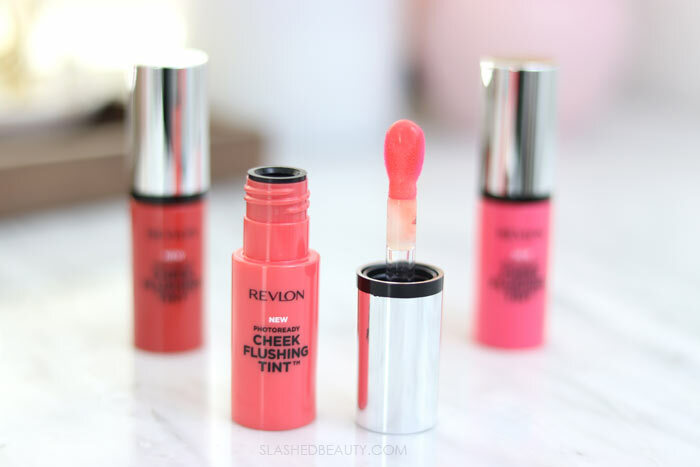 One product I’ve been reaching for a lot for a wash of color on the cheeks is the brand new Revlon Cheek Flushing Cheek Tints. These cheek tints are a liquid blush that are incredibly versatile— you can apply them lightly for a sheer pop of color or build them up for a more dramatic appearance. The consistency is thin and spreads easily over the skin before sinking in and creating a stain appearance. The tube comes with a built-in soft applicator that looks like a mega-sized lipgloss wand. To apply, I dab the product onto the cheeks directly from the applicator, then blend with my fingers. The tints are surprisingly pigmented, so if you are going for a sheer and subtle look, only a couple dabs will do ya. It’ll be much easier to build up than take away, so go slowly and gauge how strong the color is showing up on your skin. Once it’s set, the color won’t budge! I absolutely love the effect of these cheek tints once they settle onto the skin. Above, I’m wearing the shade Haute blended out on the sheerer side. They maintain a bit of translucency so you can see a hint of your skin tone and texture through them, so they look slightly different on everyone. The finish is radiant but not dewy, much like natural skin. Like I mentioned above, once the color sets, it stays in place all day. I blended contour and highlight on top of the tint using a brush, expecting some of it to blend away or become more sheer from all the prodding. However, the color stayed strong and blended in with other products seamlessly. 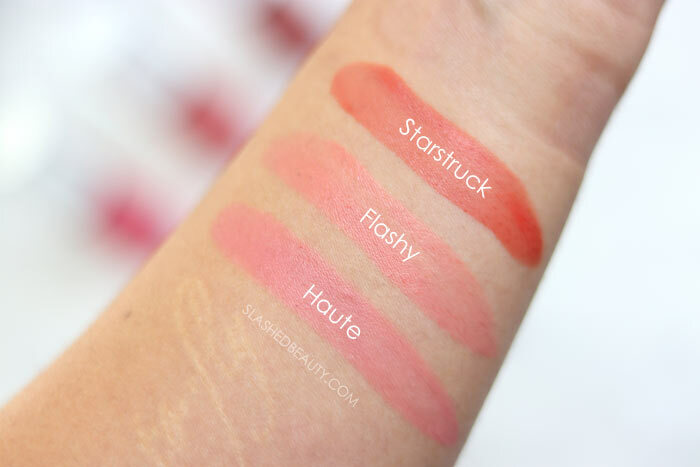 The three shades available currently are Haute (rosy pink), Flashy (coral) and Starstruck (red/orange). 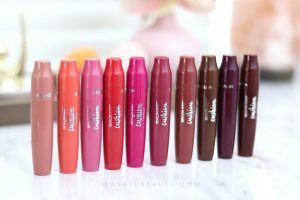 I’m so happy with the formula, performance and wear time that I’m surprised at the $10.99 price tag— these definitely perform like a high-end product! 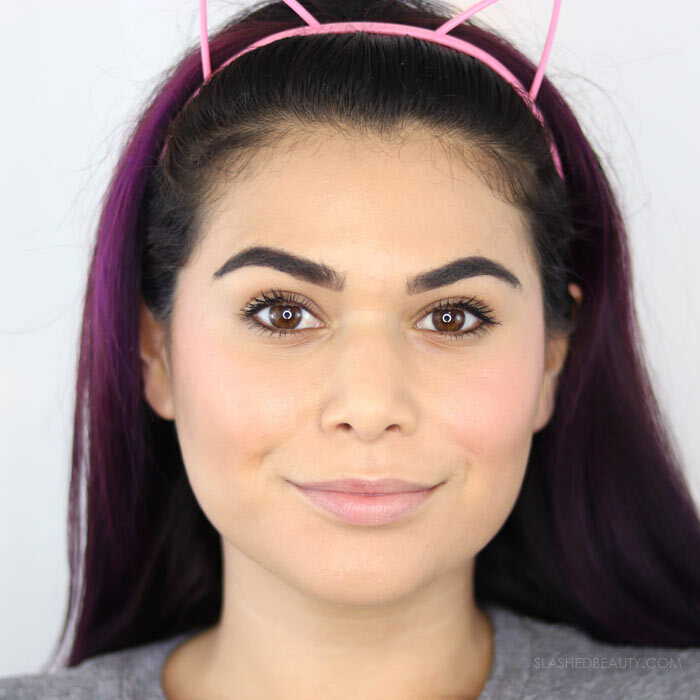 I seriously hope that the brand expands this line because it is a huge hit in my book for literally any look, subtle or full glam, especially when you need the color to last all day. Now here’s the thing… in the package I received the Revlon Cheek Flushing Tints in, the insert stated that these were available on the brand’s website. However, they’re nowhere to be found… like anywhere on the internet yet. 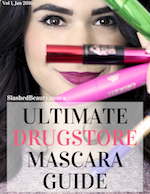 So, check your local drugstores, but I’ll definitely update this post as soon as I spot them online. 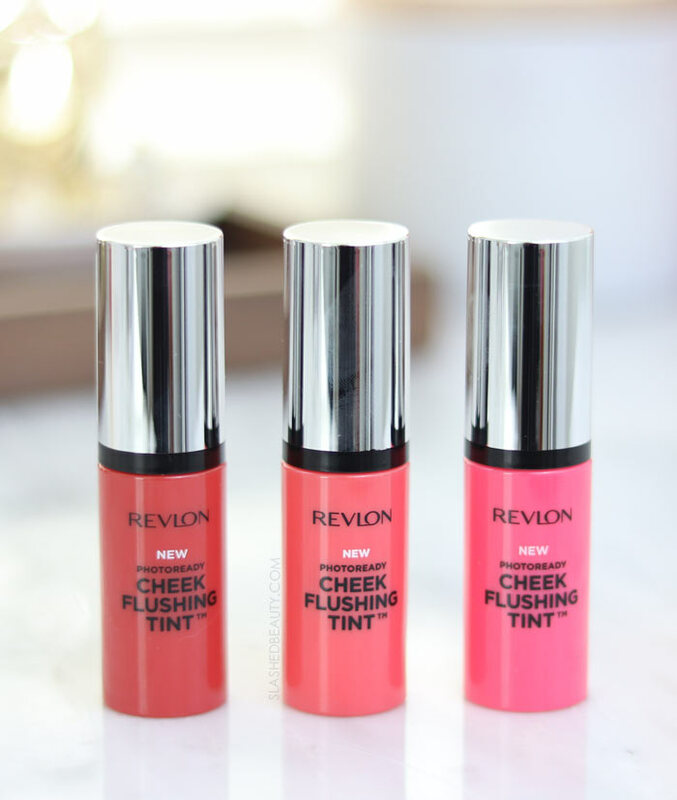 Have you spotted the new Revlon Cheek Flushing Tints in stores yet? I love Revlon lip colours! I’ll give these tints a try! Starstruck looks wonderful! These are awesome, I still haven’t seen them in stores yet!